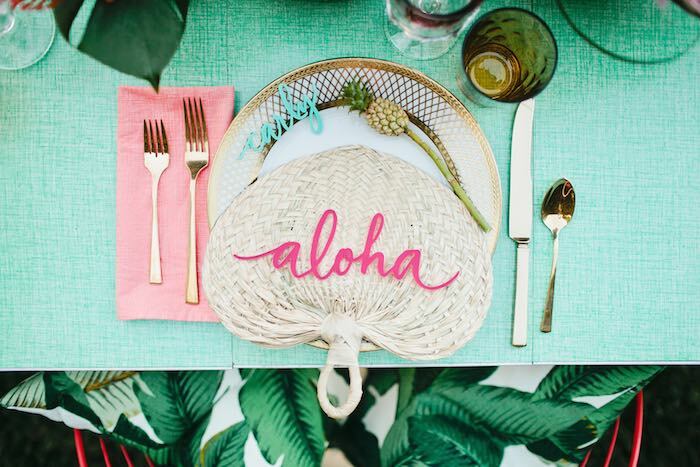 With gorgeous shades of pink, gold and mint and fabulous sweets and gorgeous floral and fruit centerpieces, this chic and modern take on the classic luau from Beijos Events has us ready to hit the beach! 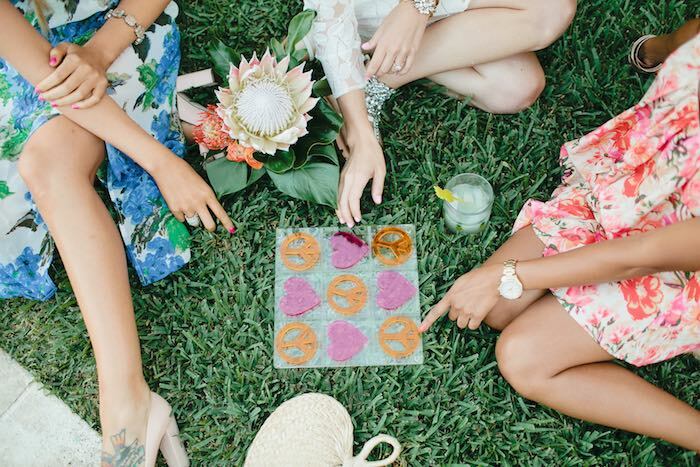 This elegant and unique bridal shower is the perfect way to prepare for the big “I Do”! 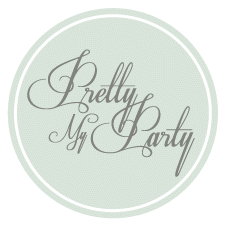 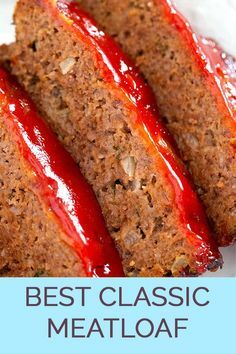 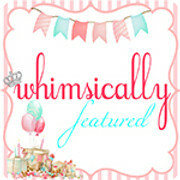 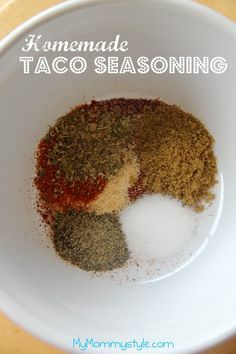 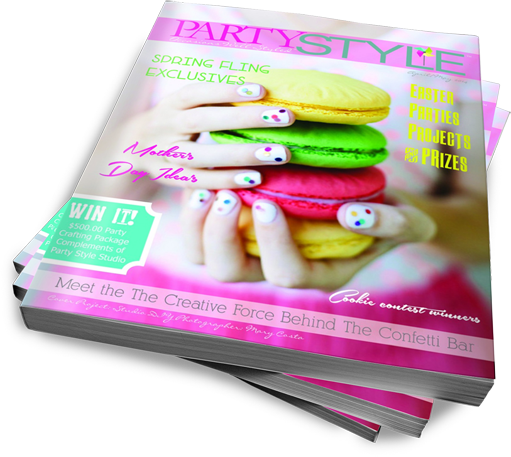 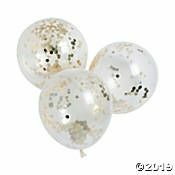 Keep and eye out for some of our favorite party features! 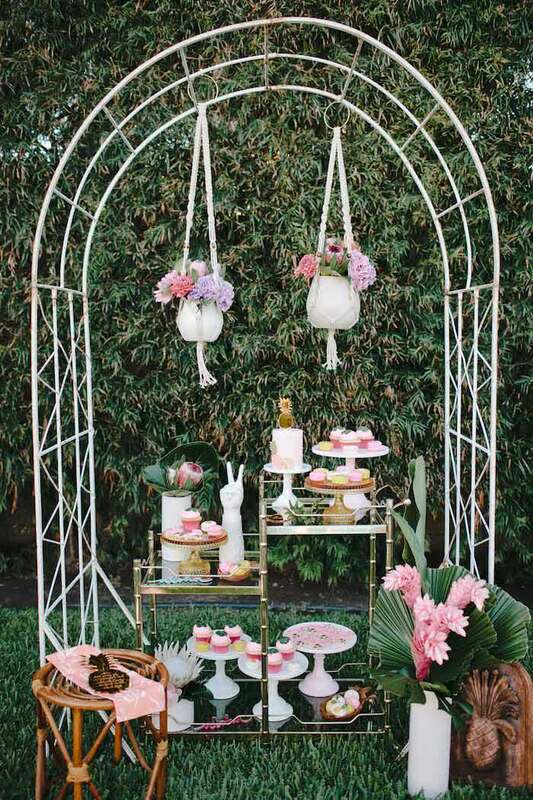 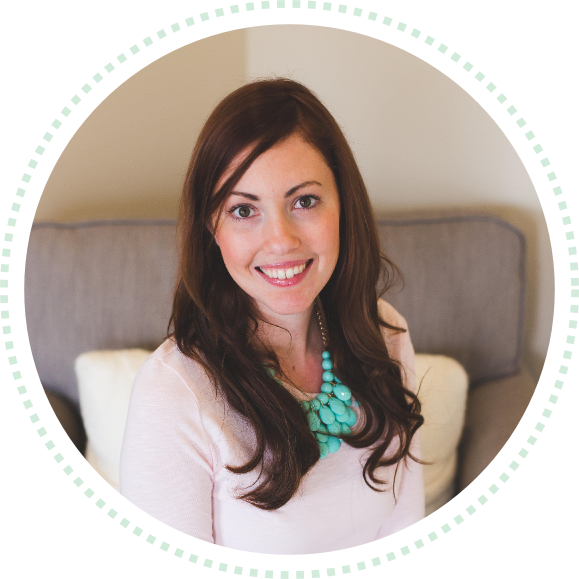 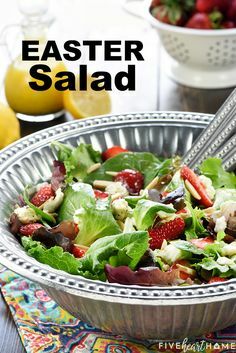 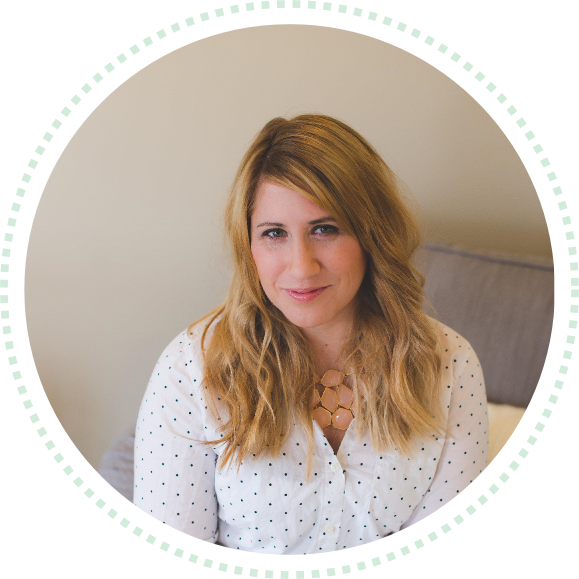 Looking for more bridal shower or wedding inspiration? 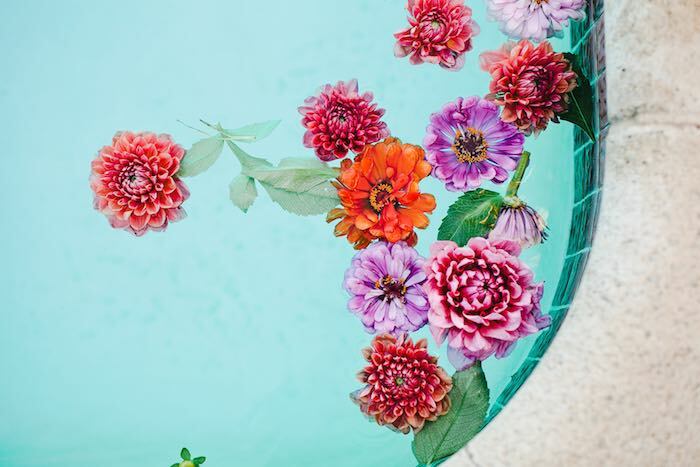 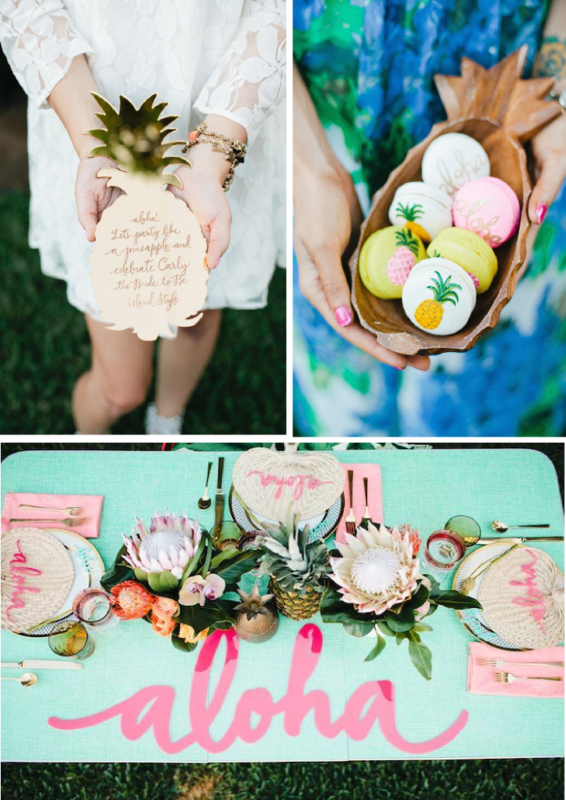 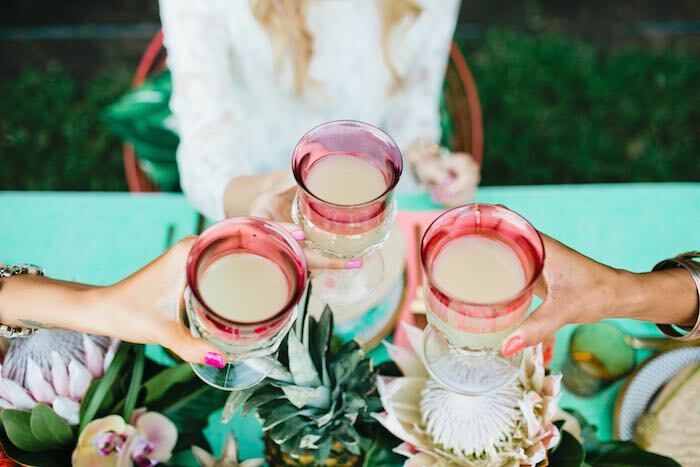 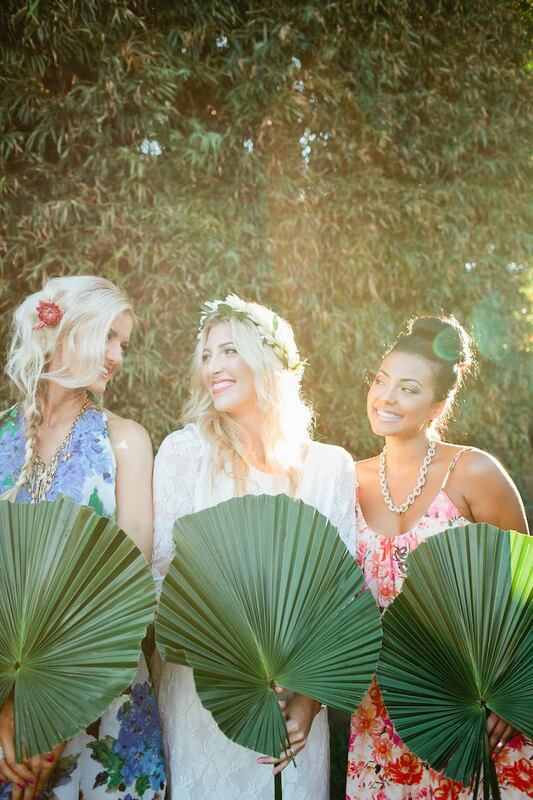 We recently shot a tropical inspired bridal shower shoot that we are so excited to share with you!! 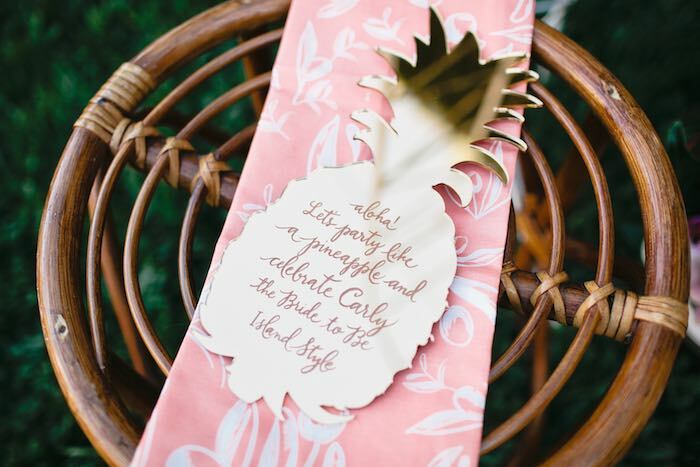 The trend of the pineapple and a trip to Kauai earlier this Summer really inspired us and set the tone for a fun and colorful celebration. 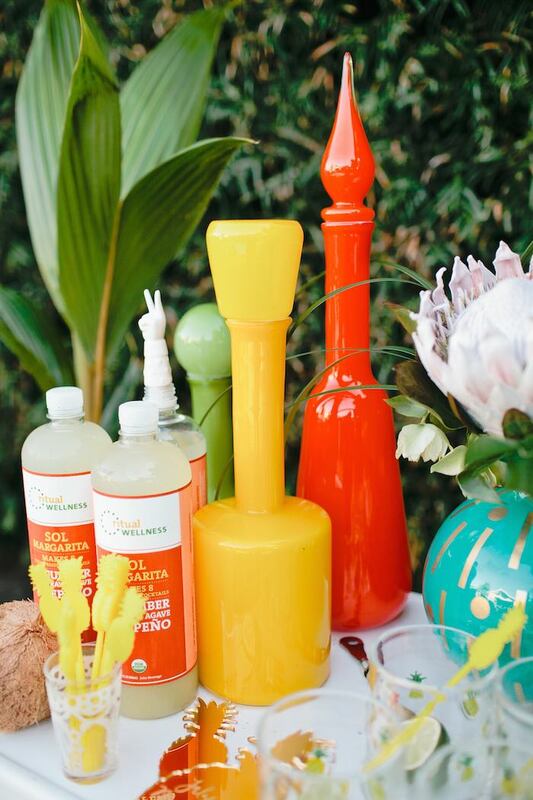 It was so much fun to combine all of the fun and bright colors along with the gorgeous tropical flowers, any bride would be thrilled to have a celebration like this in honor of her! 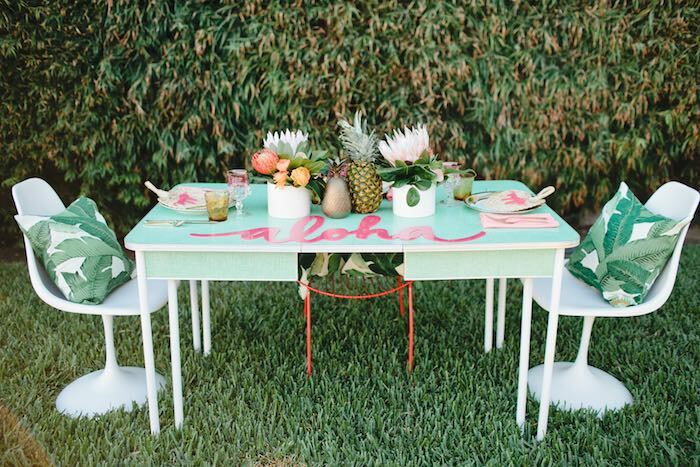 Witty Rentals has the most fun inventory with tons of eclectic items with pops of color that were so fun to mix and play with, and when we combined that with the beautiful tabletop collection of Borrowed Blu it really made for the best table setting! 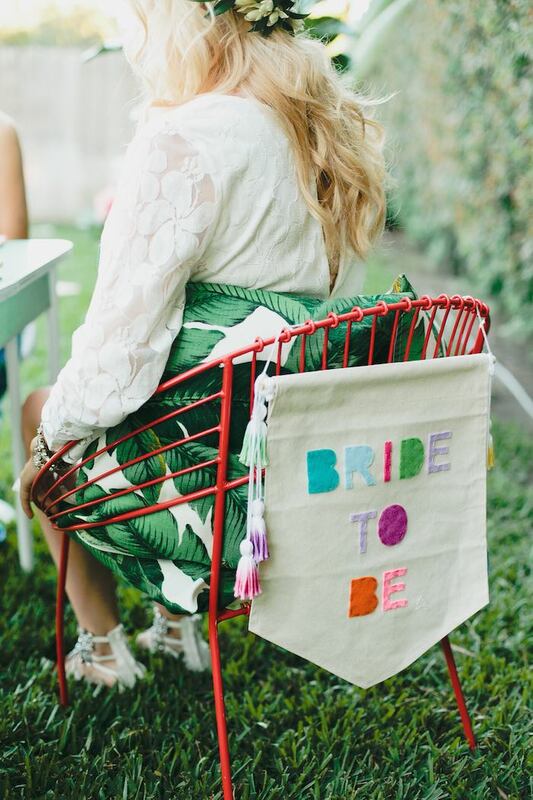 Meagan from MV Florals created stunning florals for us and really set the tropical tone, we especially loved what she did with the macrame hangings from Pigment that were showcased at our dessert bar. 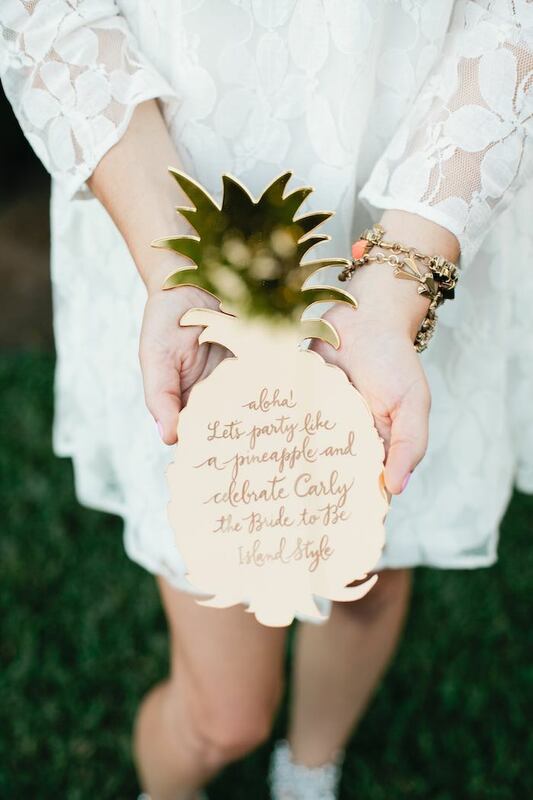 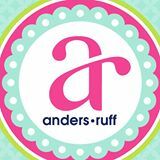 The invite and signage was AMAZING by Pitbulls and Posies, she inspires us with everything she does! 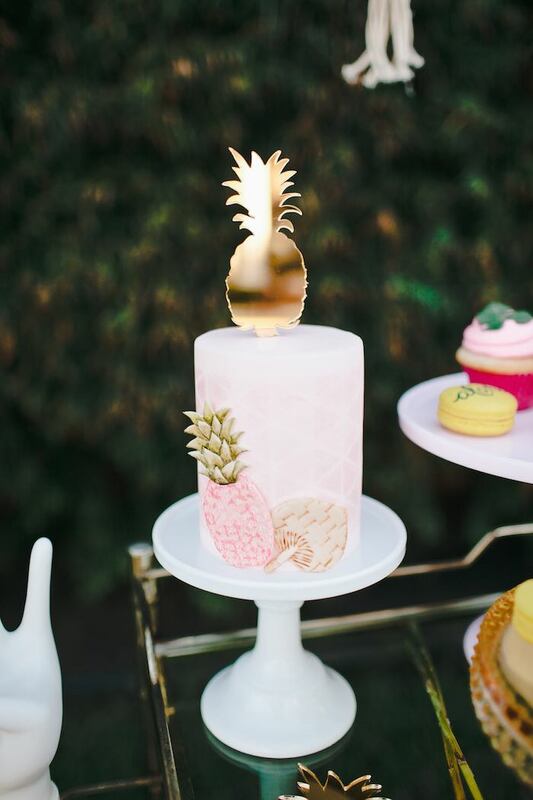 The gold pineapple invite was so crazy perfect, we had to continue it with the drink and dessert signage along with a cake topper! 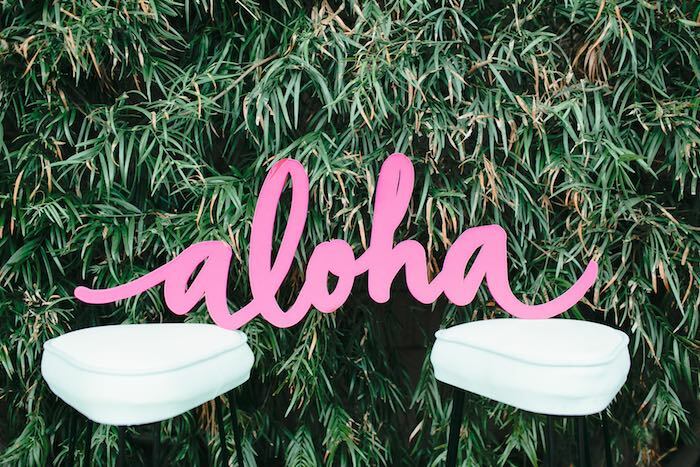 And the plexi-glass name plates for each guest and Aloha signage using Ann Robin’s calligraphy were the perfect touch! 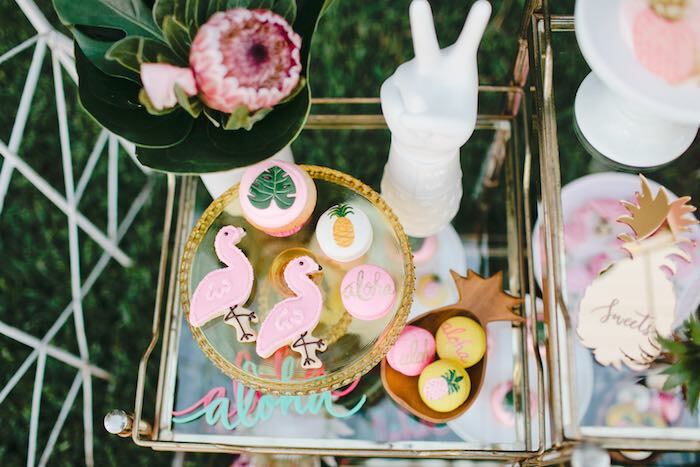 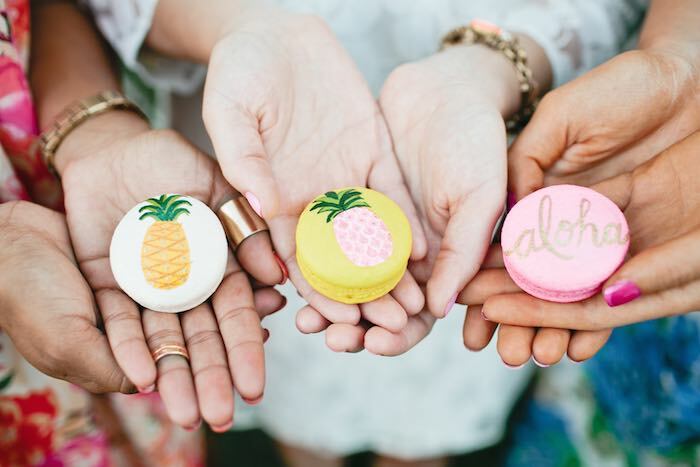 We nearly died when we saw all the yummy and gorgeous treats Sweet and Saucy baked up for us… The adorable pineapple cake, flamingo cookies, palm cupcakes and the to die for Aloha macaroons, they would blow all of your guests socks off!! 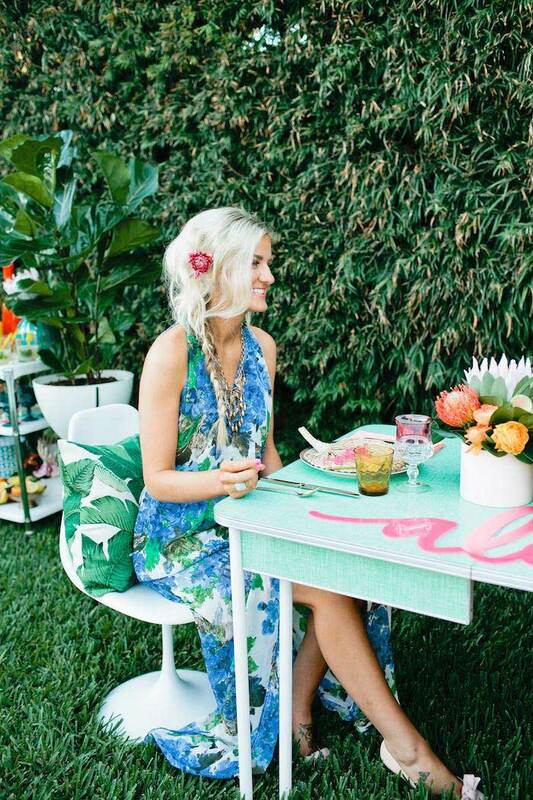 For the girl’s look we wanted something fun, bright and tropical and Show Me Your Mumu was the perfect fit! 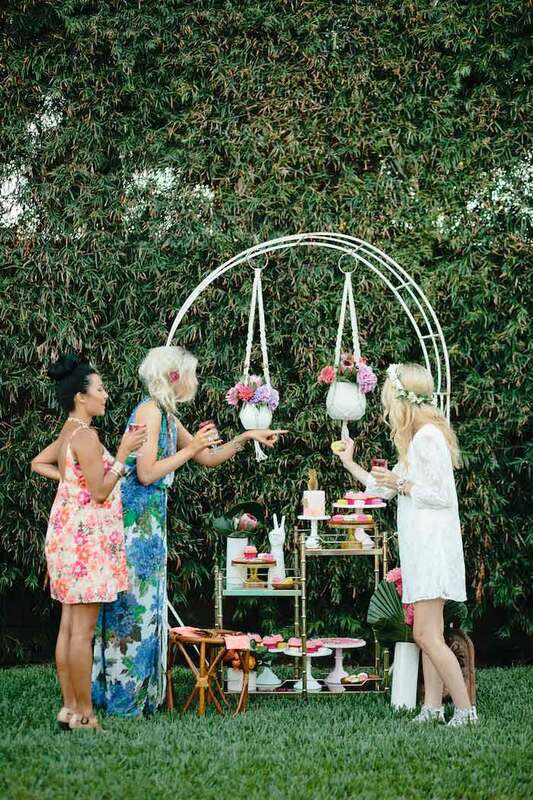 The dresses were all from their Fall collection which still had that fun Summer vibe we wanted but was sophisticated for this kind of event. 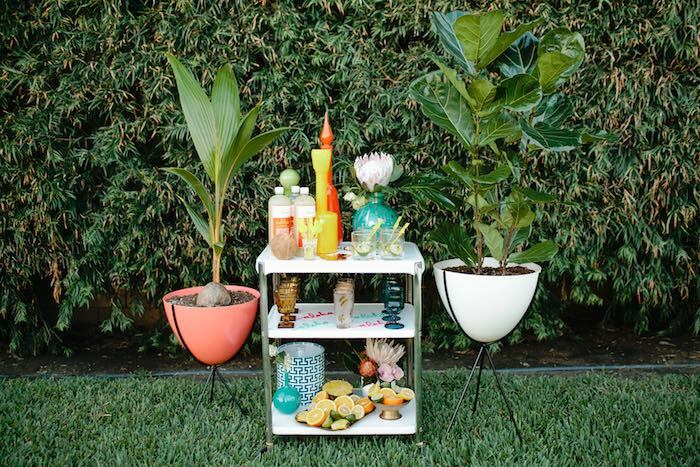 Adding some mid-century and fun touches was all the goodies from Jonathan Adler, any time we walk into that store we get so inspired!! 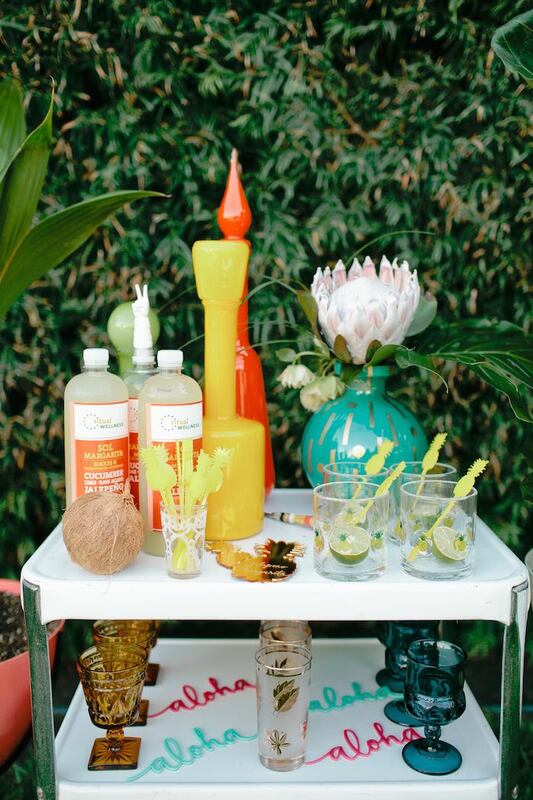 We loved using their product for this shoot! 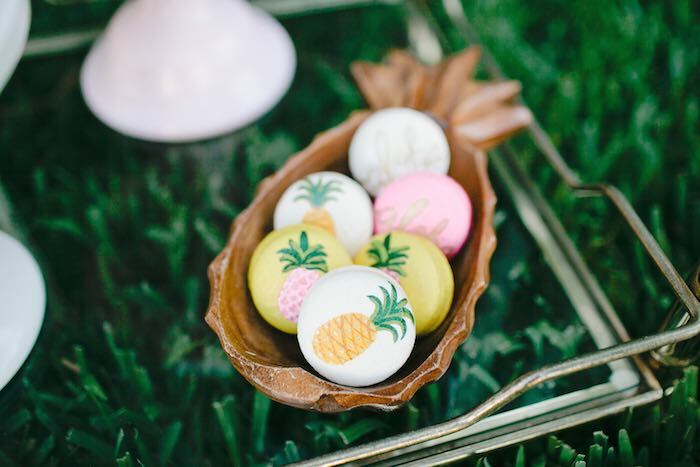 We also found the cutest and most perfect pillows on Etsy by Whitlock and Co, their palm tree pillows are adorable and added that extra detail that we were looking for. 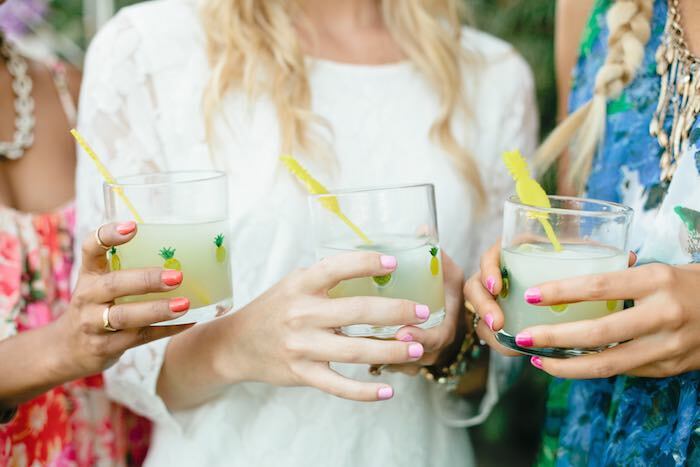 Lastly, we LOVED sipping on Ritual Wellness yummy mixers, they are so delicious and fresh!! 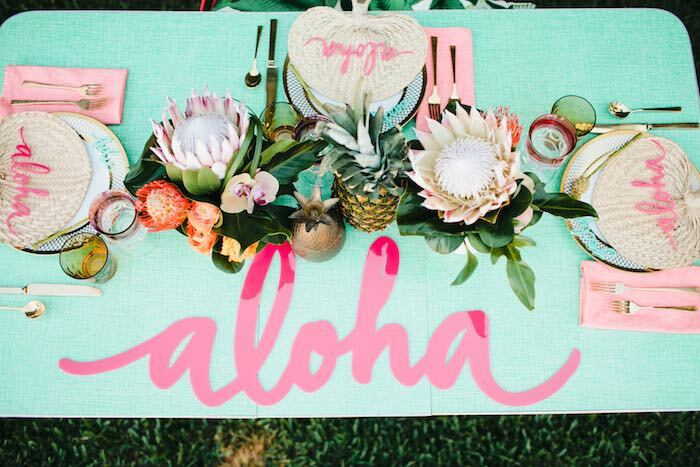 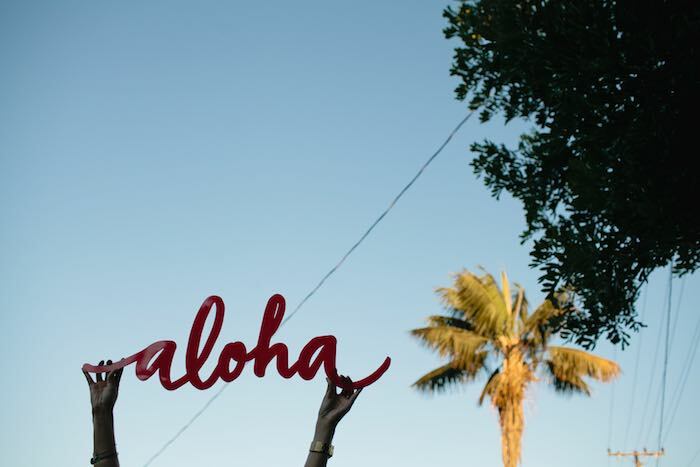 Thank you Beijos Events for sharing your breathtakingly beautiful Aloha Luau Bridal Shower with us! 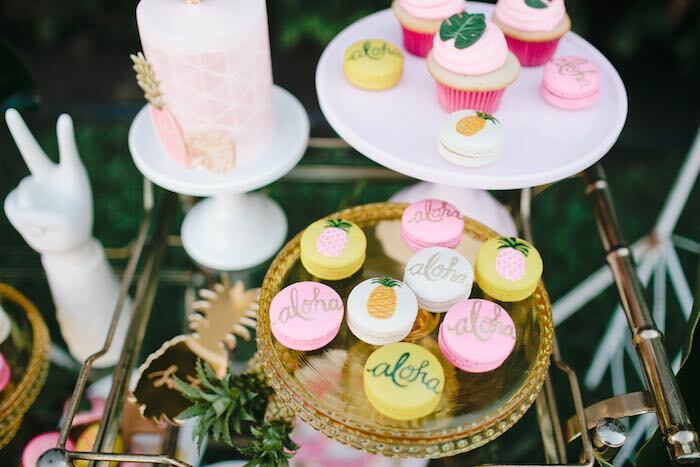 I love all the pineapples!